Spruce Mountain Press is the name we chose to honor a lovely nearby mountain when we decided to publish our first book, IF ONLY I COULD TELL YOU...Where Past Loves and Current Intimacy Meet. Here’s the story: In 2004, after having spent almost ten years researching and writing the book, and having searched for a publisher fo a couple of years, we finally found one and signed a contract with them. Then, after six months, they withdrew the contract, even though their original response had been enthusiastic. We were faced with several choices. We could send out more proposals to publishers, a process that could take many more years, with uncertain results, or we could become our own publisher. We chose the latter. Knowing that we could not afford to produce the book using offset printing, we decided that we would use the much less costly print on demand technology. But after reviewing many of the POD packages on the market, and rejecting them for one reason or another, we decided to do everything but the actual book manufacturing and distribution ourselves. (We did, however, hire a local professional cover designer, Tim Newcomb.) So we designed, typeset, and copy-edited the book ourselves, without the benefit of desktop publishing software. Two years later, we brought out a lovely book. In 2012, our second book, HEARTSCAPES: True Stories of Remembered Love, came out. Spruce Mountain Press, then, is a homegrown publishing endeavor centered around our conviction that significant past loves are an indelible part of who we have become. If we value knowing, and being known by, our current love, surely our past loves are an important part of the picture. That conviction, and its manifestation in our life as a couple, has come to infuse our work and inspire us to offer it to others. And it keep us far more engaged with folks around the world than we would ever have imagined. None of this began as part of a plan. 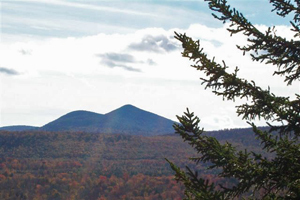 Living our life near the base of Spruce Mountain, we simply made one choice after another as a couple, while holding emotional intimacy with each other as a priority in our relationship.